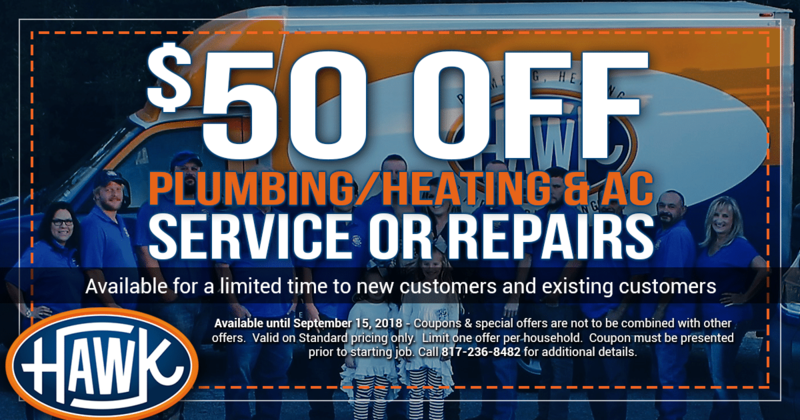 Plumbing emergencies happen, if they happen in Fort Worth, you can count on the local & licensed plumbers at Hawk PHAC. We understand plumbing emergencies are stressful, from overflowing toilets to broken pipes, our professional team will be by your side whenever you need us. We will help assess the issue, find the problems and get the repairs done for you in a timely manner. Getting the job done correctly & professionally always reduces stress when an emergency arises. Knowing you have a team you can count on, well, helps even more. A lot of plumbing problems can be avoided, most of the time the system tells us when there are things wrong, or about to go wrong. The best way to avoid a plumbing emergency is to have your plumbing inspected and maintained on a continual basis. There is no better solution than having a trained team, with advanced tools looking for potential plumbing issues within your home. However, there are things you can do to ensure you do not cause unneeded stress on your system. Below we have listed some of the things that you want to avoid in order to keep your plumbing system running smoothly, while reducing the risk of an emergency plumbing situation. Don’t flush anything down the toilet except toilet paper. Minimize the use of the garbage disposal, dispose of food, grease and other items dangerous to your drains in the trash instead. During cold months make sure to leave your water slowly dripping from a faucet to reduce the chance of frozen pipes. Once you hear gurgling noises or banging pipes, call a plumber. Don’t wait for them to fix themselves, they won’t. If you have small leaks, don’t wait for them to become large leaks, get them fixed immediately. This will save you a lot of money in the long term. Of course, the above are only some of the items to pay attention to. The best way to avoid a plumbing emergency is to have inspections and maintenance done on a regular basis. The small bill of inspections & maintenance can help reduce the large bill and inconvenience of a plumbing emergency.